From Wednesday August, 8 to Sunday August, 12, court reporters from across the country, including Susan Kay, Managing Partner of Brown & Jones Reporting, who is also president of the Wisconsin Court Reporters Association, will convene in Philadelphia for the National Court Reporters Association's annual convention. This yearly gathering of the highly skilled workforce is full of resources such as a punctuation workshop, student seminar programs and realtime systems administrator workshop and exams. But, in addition to the workshops and training opportunities, there are two competitions that attract some of the best court reporters in the country. The main event for the weekend is the speed and realtime contests. 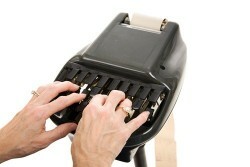 During these competitions, 30 court reporters and broadcast captioners will compete for the spot as the fastest typer. The 100-year old National Speed Contest will have contestants take down live dictation at upwards of 280 words per minute, totalling up to 1,400 words in five minutes or five words per second. In addition, contestants in this competition will need to have at least 99 percent accuracy. The second contest is the National Realtime Competition, where reporters will need to instantly translate their notes into English while recording a live dictation. This is the process that creates the captions for live television programs such as broadcast news and sporting events. 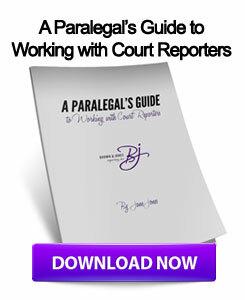 In addition, both contests will only consider court reporters who exceed a 95 percent accuracy as qualifiers for the contest, with the top reporters needing at least a 99 percent accuracy. Clearly, court reporters are a highly skilled set of workers who can drastically improve the effectiveness of any lawsuit or deposition hearing. If lawyers wish to use the best deposition transcripts, they should partner with Wisconsin court reporters who can also offer video deposition services, as well as videoconference facilities. This entry was posted on Wednesday, August 8th, 2012 at 3:14 am	and is filed under All Posts, Court Reporting News. You can follow any responses to this entry through the RSS 2.0 feed. You can skip to the end and leave a response. Pinging is currently not allowed. We just arrived in Philly and are already meeting old friends and making new ones. I’ll be taking the Realtime Systems Administrator workshop tomorrow, while Jessie, our office manager takes the city tour. I hope to meet Susan Kay, too. I feel like I know you all from Facebook. Court reporters, videographers, realtime writers, there’s something for everyone here in Philadelphia. Have a fabulous time. I hope to meet you all! Enjoying the start of our National convention. Will be bringing home a great many ideas for our Wisconsin court reporters. Susan, I hope you have a great time and learn a lot! Looking forward to hearing about it. Can’t wait to get back home to share everything that I’ve learned with our team!